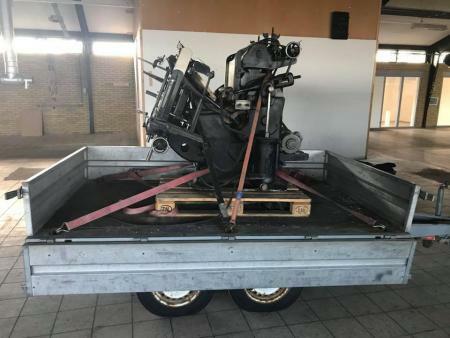 Does anybody know the height of the press itself (as shown in the attached picture) ? 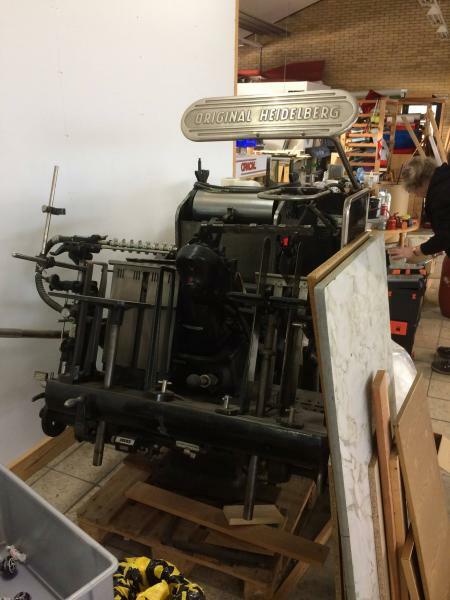 Is it possible / easy to remove the “Original Heidelberg” protection plate to reduce the shipping height of the press ? Thanks, AnnieW. I was thinking about removing the entire protection plate assembli, including the mounting rod/tube. Thanks, Jes. That is very useful info for getting the transport sorted out. On many Windmills, the guard plate is riveted on and plated with the bar attached. If the plate is held on by screws, it’s because somebody was probably leaning on it, to the point that the plate cracked or pulled off the rivets. I picked up this press on Saturday. The guard plate was, as Mike points out, riveted on (with brass/bronze rivets). The coned pin for the shaft collar was seized, so I ended up unbolting the entire guard plate / side board assembly.